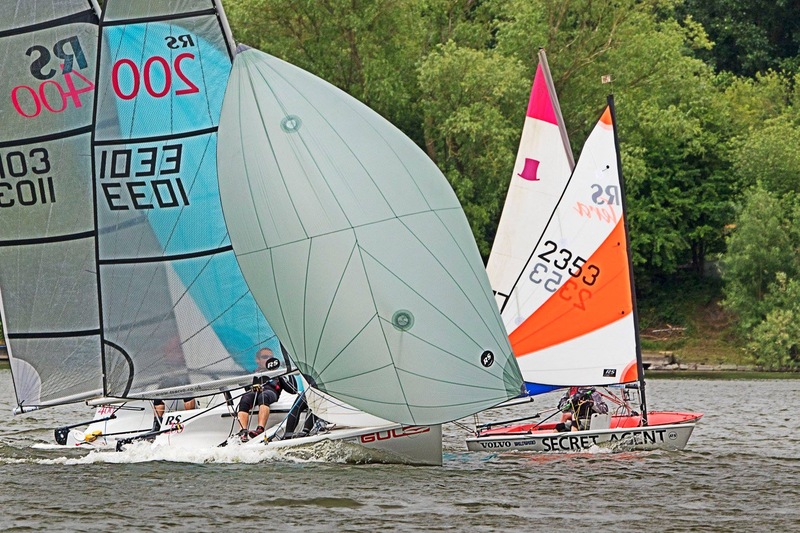 Regatta weekend 2018 – sunshine and showers! 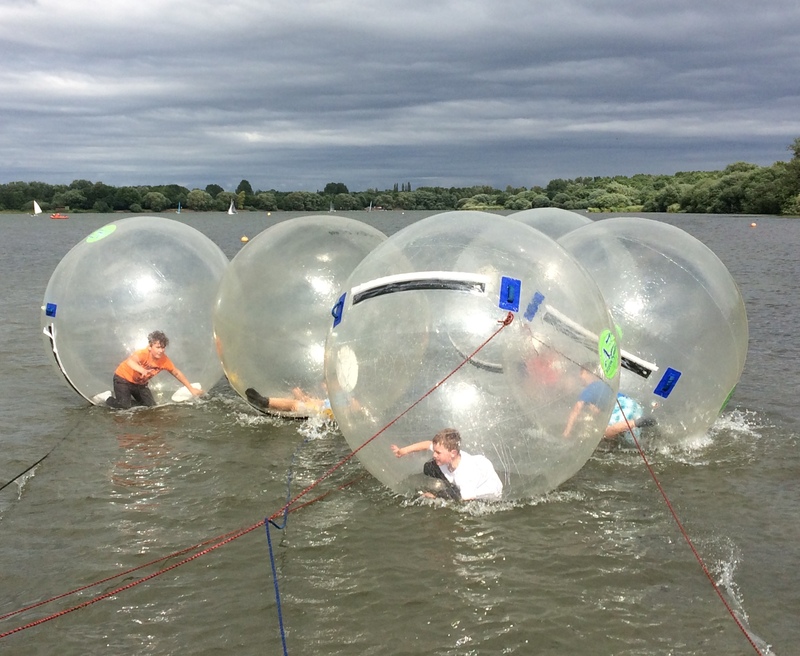 Participants at the 2018 Regatta Weekend were treated to sunshine, breeze, zorbing, BBQ and a full family weekend, plus a torrential downpour! 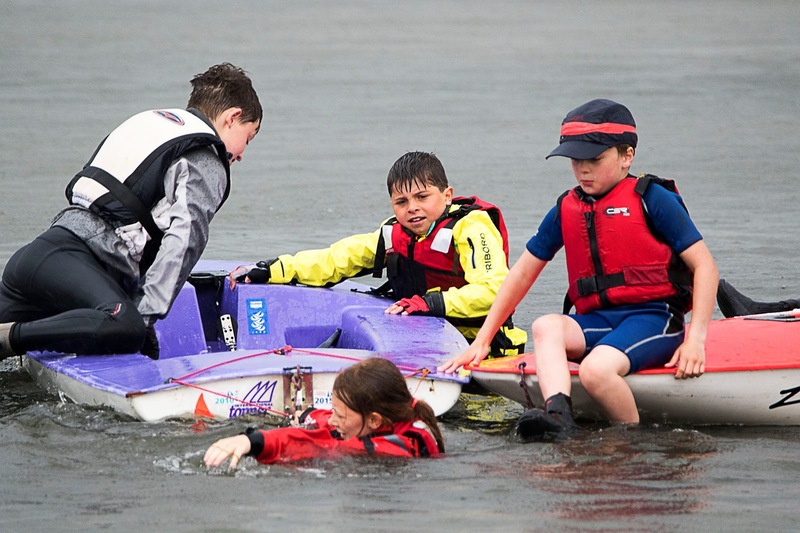 With an extra emphasis this year on making this a family-orientated weekend, our juniors were split into red, blue and yellow teams to have 2-in-a-boat racing, duck-and-ball games and a topper paddling racing in the only torrential downpour of the day, despite the forecasters predicting worse. The teams were evenly matched and the edible prizes were spread throughout! Meanwhile the adults got down to some racing, with a new odds-and-evens format thrown in as a brainteaser. Overall Chris Williams was the most consistent to win the day in his Laser, winning the first race and never out of the top 3. Tom Weiz out-foxed the other competitors to take the odds-and-evens race. 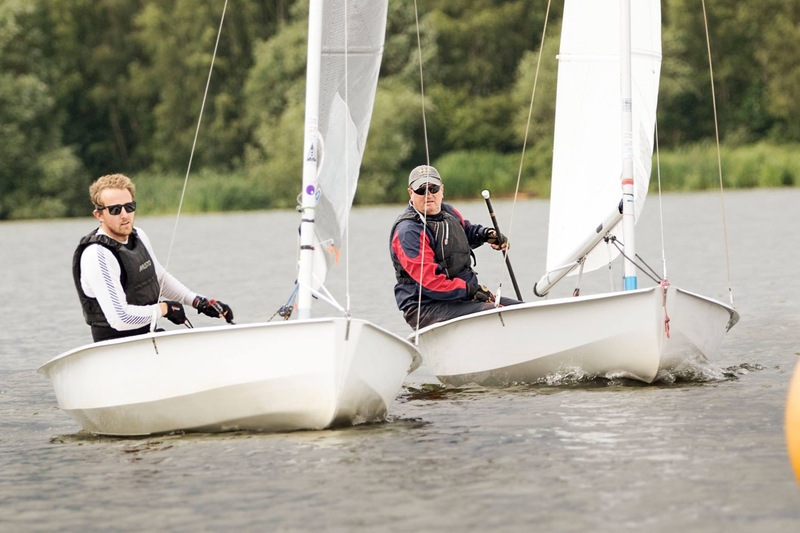 Some crew swapping in the RS400s gave us a new combination of Dave Exley and Mike Baldwin in second place overall with Gareth and Jen Williams coming in third in their RS200. 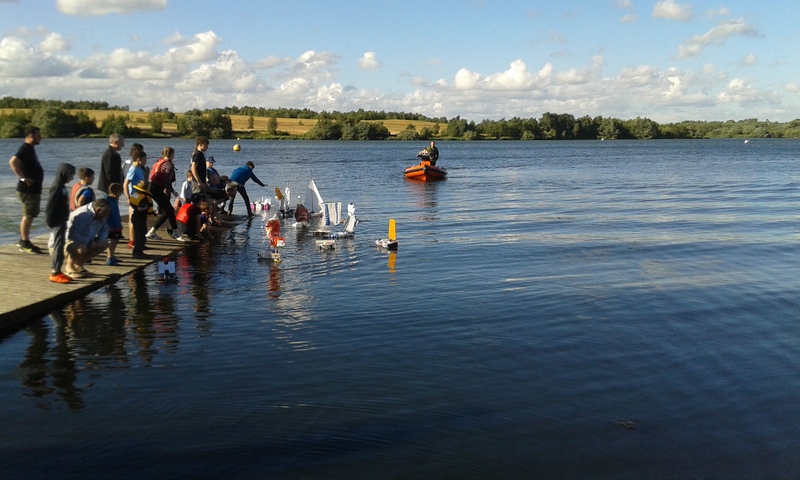 The traditional bottle boat race was conducted before the BBQ with some great creations taking to the water. The conditions were gusty and many promising entries were overpowered early on by their excess sail area. 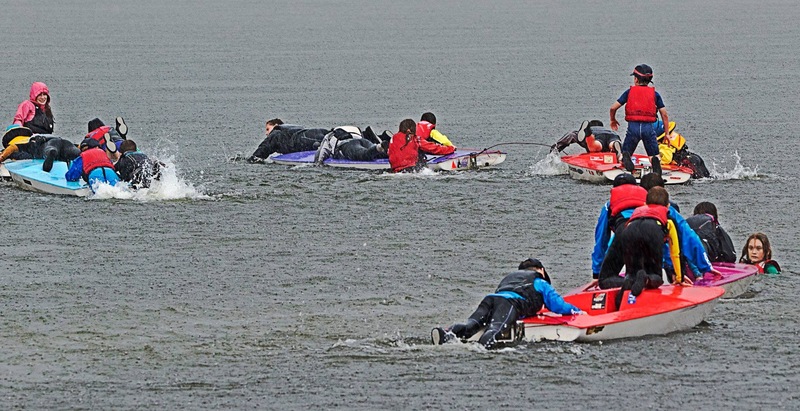 Austin Busby’s boat stayed upright and won convincingly on the day. Ann and Helen’s fabulous BBQ followed as 100 hungry sailors were fed and watered. Sunday dawned with moderate breeze but fluctuating in direction through the day, making the Race Officer Cathy Partington and her team work hard to set good courses for the different fleets. 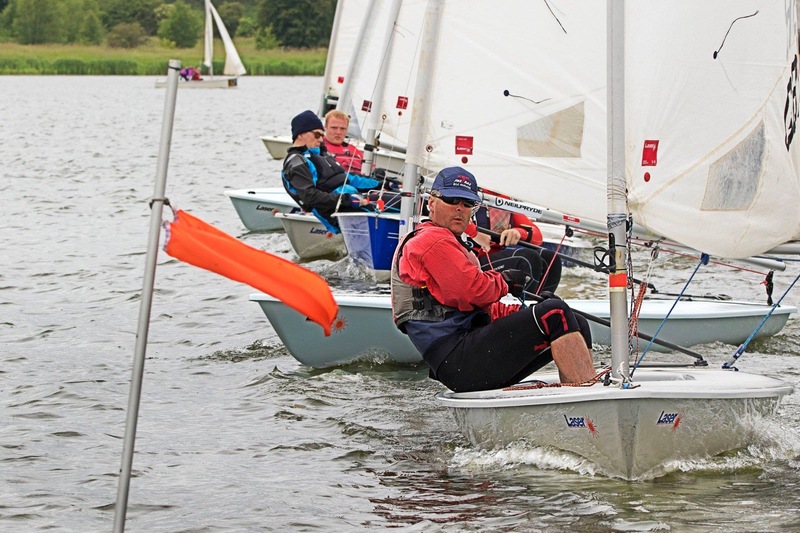 Asymmetrics did a windward-leeward, handicap a regular course and juniors an abbreviated version, adding to the complexity. 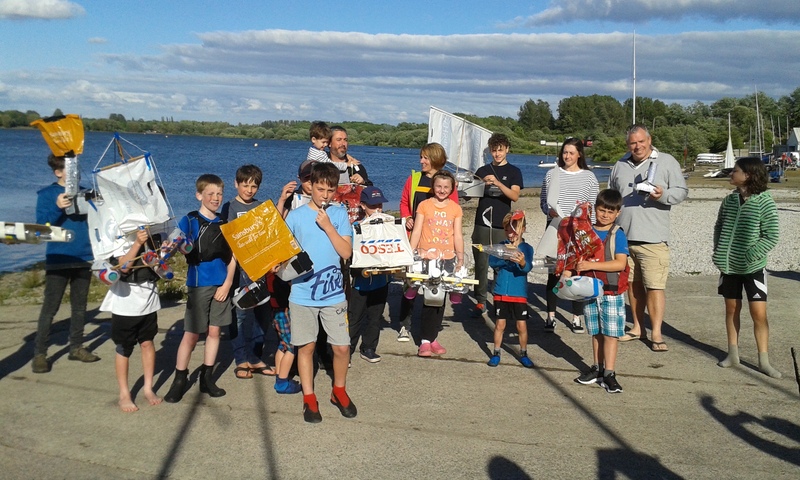 In the event, all the fleets had great racing and even some of the younger juniors had a crack at the first race before being towed in for an early lunch. 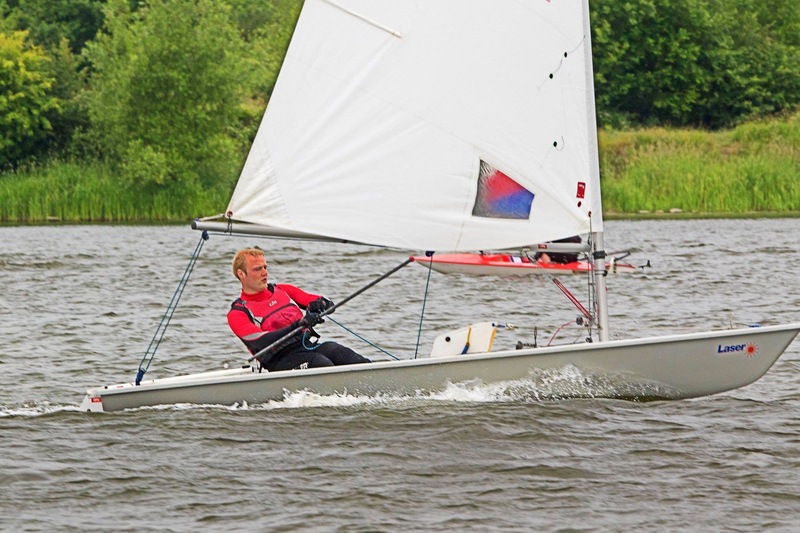 Richard Catchpole and Gary Coop (RS400) won the asymmetrics from Paul Ridgeway and Andy Dawson (RS400), with Gareth and Jen Williams (RS200) in 3rd. Lorcan Knowles (Laser Radial) got 2 bullets to win the handicap from Tom Weiz (Solo) with Alan Catto (Solo) getting the other podium position. In the juniors Ben Welfare (Optimist) pipped John Bridgeman (Tera) and Elena Mecklenburgh (Topper 4.2) to get a well-deserved win. 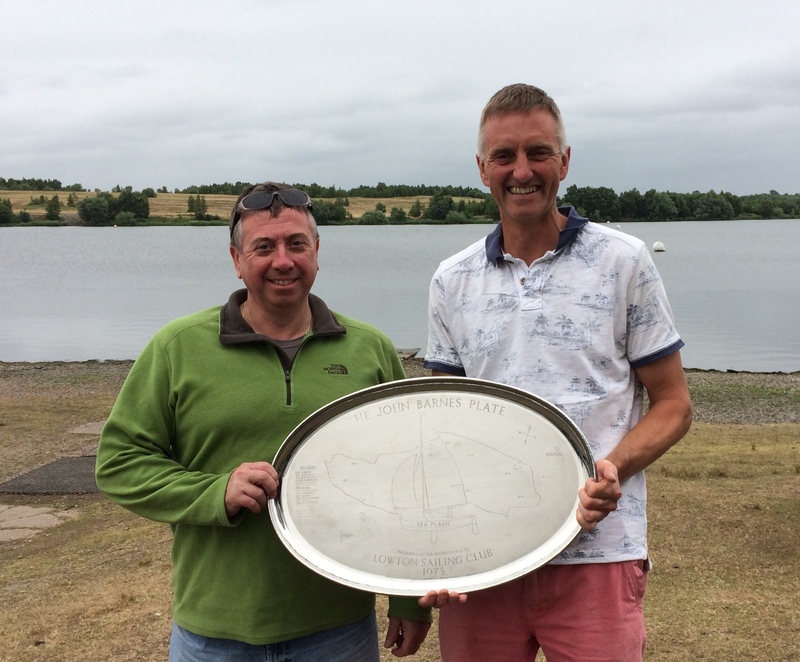 Richard Catchpole and Gary Coop additionally picked up the 1970’s John Barnes trophy for the lowest overall points score on Sunday.